It is clear that some of the most memorable scenes in the superb The Empire Strikes Back movie took place in the Cloud City of Bespin, the fictional city in the skies that is one of the most memorable settings in a sci-fi movie to date. It is also the setting of the new expansion for the wildly successful Star Wars Battlefront, which has sold more than 14 million copies since its release last fall. And although some have criticized developer DICE’s game due to its lack of depth and repetitive gameplay, the truth is that few other video games have truly made players feel like “being” in the original trilogy of Star Wars movies, as DICE’s game sure nailed the atmosphere and sounds of George Lucas’ classic movies. And now Star Wars fans have a chance to play Battlefront with the new Bespin expansion, which amongst other things adds several new maps to the game. These are named Administrator’s Palace, Carbonite-Freezing Chambers and Bioniip Laboratories, with the first two map names referring to locations Star Wars fans are likely already familiar with, while the last map, according to the official description was a location “where cybernetics and other bio-implants were manufactured”. 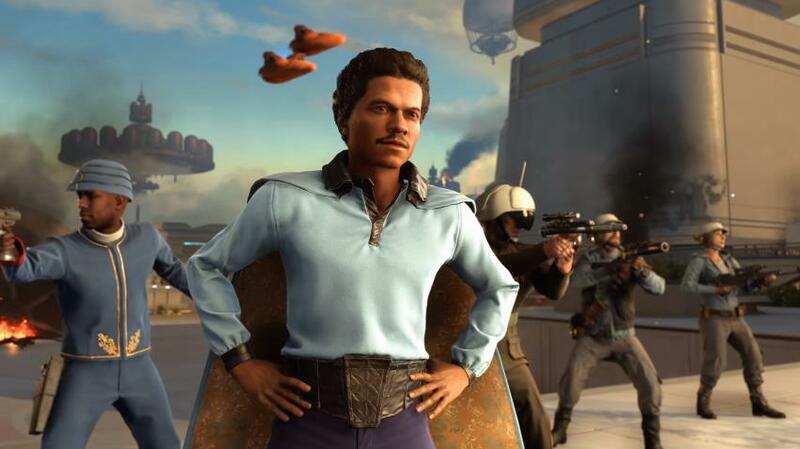 Also, this Bespin expansion adds two new playable characters to the game, Lando Calrissian and Dengar. Lando was the conniving and sneaky administrator of Cloud City in the great Empire Strikes Back movie, while the lesser-known Dengar was a bounty hunter who appeared in the same movie in a scene aboard a Star Destroyer, when Darth Vader is briefing a group of bounty hunters before the hidden Millennium Falcon takes off from the Destroyer. The Bespin expansion for Star Wars Battlefront can now be purchased by all Star Wars Battlefront players starting July 5 (it was released in June for holders of the game’s Season Pass), and it’s certainly looking like another great addition to the Star Wars Battlefront video game this year.